Recently, brain game company Lumosity was slapped with a hefty $2M fine by the FTC. The reason? 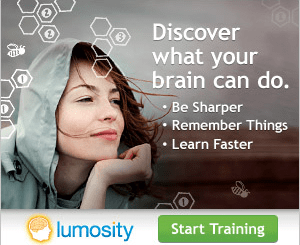 FTC claimed that Lumosity’s brain training ads are misleading and false advertising. The language used in Lumosity’s ads were the clear culprit. Specifically, touting medical/health benefits without backing up the claims with science and data naturally irked the FTC. Other companies have faced similar accusations of glitzy marketing glossing over faulty science, including Hampton Creek, Theranos and even shoe brand Sketchers. The case against Lumosity highlights truth in advertising and PR. Often, PR language imitates marketing/advertising language (for brand consistency). When we repeat these claims that turn out to be false and/or exaggerated, we’re perpetuating bad practices. Food and health brands have to be particularly sensitive to the language being used, but this scrutiny should be applied across all markets. Many PR pros see little to no problem with repeating misleading claims in email pitches to reporters. However, making grandiose claims to a journalist in an email pitch is just as harmful as splashing said claim across a gigantic billboard. Journalists pick the language up, potentially repeat it, or more importantly, they call you out on it (something more reporters should do, frankly). If you’re using PR language like “first to market,” “only one of its kind,” and more critically, “improves your brain memory,” you better have the data and/or science to back these claims up. Using this language in PR is just as dangerous as using it across advertising channels. There might not be an FTC oversight but you’ll create more harm for your client or brand than you will interest. And it’s just frankly wrong.